Mon – Fri: Midday – 10pm. Enter the car park by the entry on Tangerine St, Villawood – nearest corner is Woodville Rd. Drive along the driveway behind Bunnings up towards AMF Bowling and you will see the Climbing Gym. Nearest station is Villawood, a 5 min walk. Route 907 runs along Woodville Rd. Possible though no nearby cycleways. Climb on our huge array of walls using ropes. Bouldering is unroped climbing above a crashmat. 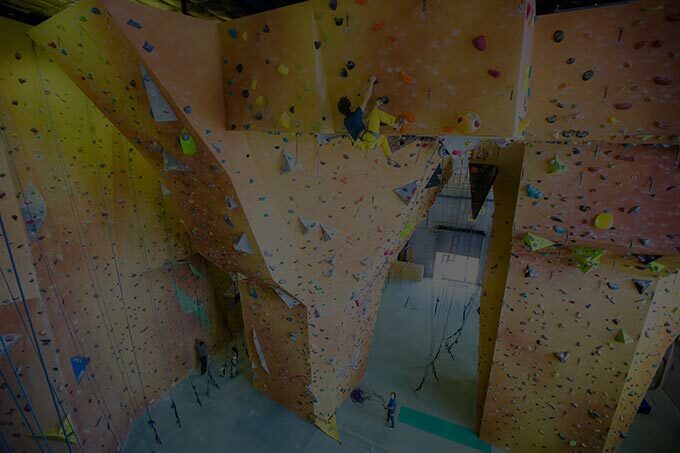 Western Sydney’s biggest climbing gym, with 2200m2 of climbing walls. The main climbing area is over 15 meters high. At the centre are two towers with lots of lead climbing on steep faces, aretes, roofs, and corners. The surrounding walls have top ropes, including an international standard speed wall, and lots of variety. In addition, we have a dedicated kids climbing area with birthday party rooms, and five caves that the kids love. Climbs range in difficulty from very easy for beginners, to hard routes for elite and competition climbers. 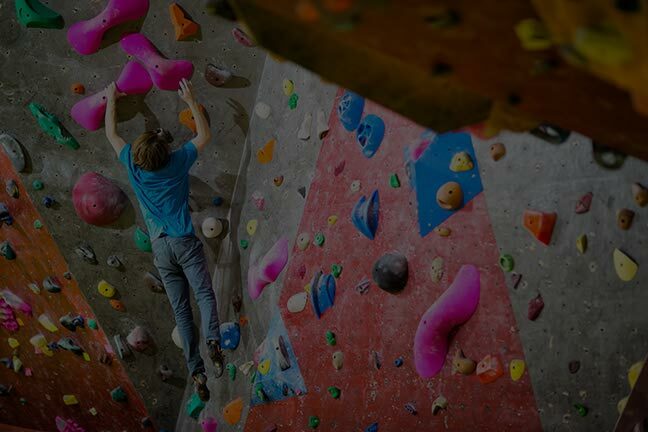 Fresh routes are added every week! Lots of activities for kids, including caving!